Worth the cost of the course! About two years ago my fiancee and I took the survival 101 course. The course was great we both learned a lot. I thought it was worth the cost of the course just to learn how to build a fire. That was until this weekend. 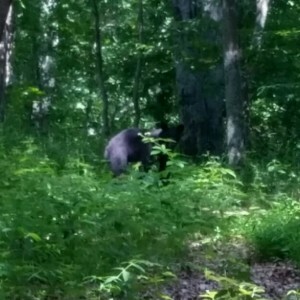 My 11-year-old future stepson, 16-year-old nephew and myself were on the AT around Macaffes Knob when a large black bear came out of the woods. It stopped in the middle of the trail about 15 ft away and just stood there looking at us. I was startled at first, then remembered your training about the difference between black bears and grizzlies. I made myself as big as I could and made a lot of noise and the bear eventually went off. So in closing I just wanted to say thank you for giving me the knowledge and confidence to stay calm and safe in the woods.